Please click here to register for this exciting event! You can also check out the Agenda. The Keynote for this year's event will be: The Future of Health Care is Data Driven: How Attain, Aetna’s New App, Will Explore the Links Between Physical Activity and Health Outcomes by Ben Wanamaker, Head, Consumer Technology & Services, Aetna. Click here for Sponsor Registration Information. Big Thanks to our Major Sponsors for this event! 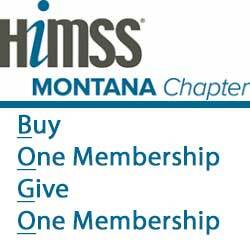 Veterans... Click here to learn more about the HIMSS Veterans Career Services (VCS) Initiative. Buy One, Give One Free Membership. Invite a colleague to join free for one year! !